Take a short 20-minute boat cruise from Picton marina and discover Lochmara Lodge Wildlife Recovery & Arts Centre. 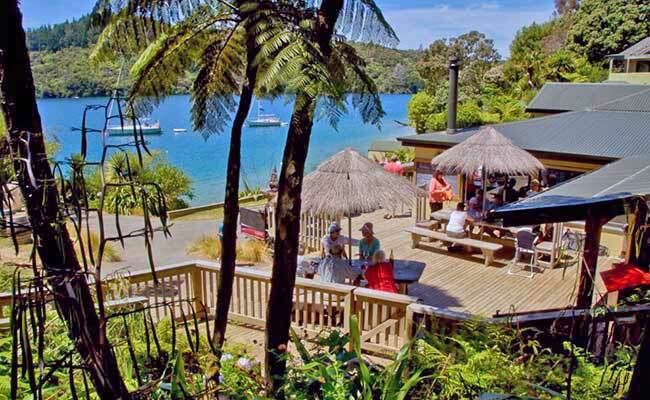 Set on the tranquil shores of the Marlborough Sounds you’ll discover a hidden world of nature trails, sculptures, art galleries, native birds and geckos. Relax at the waterfront cafe/restaurant and enjoy some great food & wine and stunning scenery. Great day out for families!